This was the biggest-bet conference championship weekend ever — that’s the report from the majority of sportsbooks interviewed. Some of the robust handle can be attributed to the overall increases in sports betting action, and some to both of Sunday’s games being marquee matchups. The outcomes could hardly have been worse for bettors — whose lopsided support of both underdogs resulted in big losses. Bovada.lv noted how much of a factor Super Bowl future bet exposure is when bookmakers root for results in the playoffs. Denver was the no. 1 favorite entering the season (6/1 odds), and Seattle was the fourth favorite (11/1). As could be expected with chalk, the public bet both of these teams heavy to win the title. Even so, the modest preseason odds on both Super Bowl participants mean Bovada will book a big futures profit no matter which team wins the game. When the Super Bowl line opened soon after Seattle’s game-clinching interception, most sportsbooks hung Seattle as a small favorite. Without delay, the early money came in strong on Peyton Manning and the Broncos. Within a half hour, Denver was favored everywhere. During the regular season, professionals are the source of a vast majority of early action. The average recreational bettor is not even thinking about next week’s games seven days ahead (and they find the idea of tying up their money for that long unappealing). But early betting on the Super Bowl is different. It’s the only game that matters for the next two weeks — and an early bet, especially at an attractive number, is a compelling conversation topic. In this case, the public was the primary driver of the early move toward Denver being favored — with sharps, for the most part, sitting on the sidelines. What will happen once the sharps do get involved? LVH’s Jay Kornegay told me he expects heavy Seattle action from the wiseguys eventually — and he predicts the spread will drop by game time to pick’em. So, the lines have been drawn: The public is supporting Peyton Manning (75 percent of the bets made so far have backed Denver, according to the bet-tracking tool at Pregame.com), while the wiseguys wait for an opportune time to grab the biggest number on the lesser-known underdog. It’s important to understand that the makeup of the “public” for Super Bowl betting is different from any other American sporting event. Wynn bookmaker Johnny Avello estimates that 90 percent of the Super Bowl betting handle will come from recreational bettors. This is the smallest share for the pros of any event. 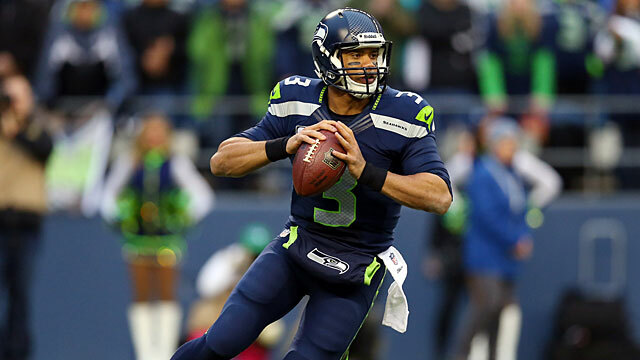 Many novice bettors make only one sports bet each year, and it’s on the Super Bowl. Yet, on the occasions that the biggest bankrolled pros do identify value on the Super Bowl spread, they tend to make their largest wager of the year — since the massive amount of overall action allows these whales to get down nearly any amount they desire. Super Bowl XLVIII should be no different: Five out of six sportsbooks polled projected that this will be the biggest-bet Super Bowl ever. Men in Blazers: With Special Guest Aaron Dessner!